Available for delivery in selected states & regions. Please enter in your postcode at checkout to see if it’s available in your area. 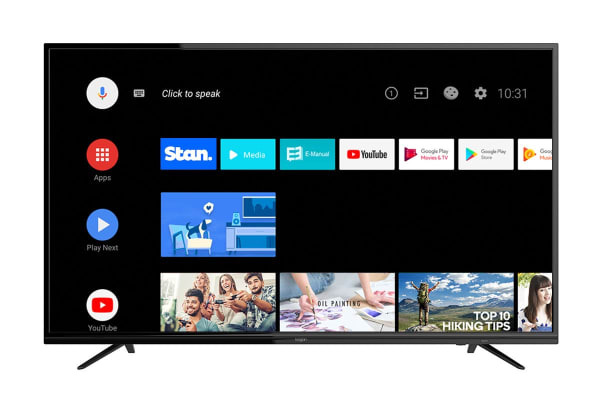 The vivid 4K Ultra HD resolution, phenomenal HDR support, sleek design featuring built-in Google Chromecast and clever connectivity of this premium Android TV™ will transform your viewing into a spectacular visual display. 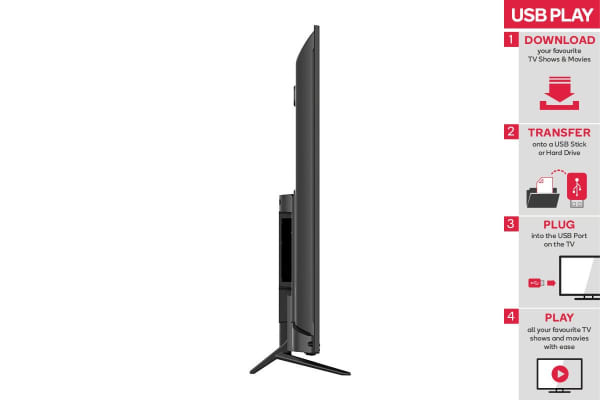 You won’t be able to go back after the Kogan 65” XU9010 4K LED SmarterTV™ (Android TV™, Smart TV). Access your favourite free to air TV shows and movies at any time, stream live TV and catch up on what you’ve missed with Freeview On Demand. Simply search on your TV by show, genre, what’s popular or browse everything from TVNZ OnDemand, ThreeNow and Maori TV On Demand apps, all in one place. 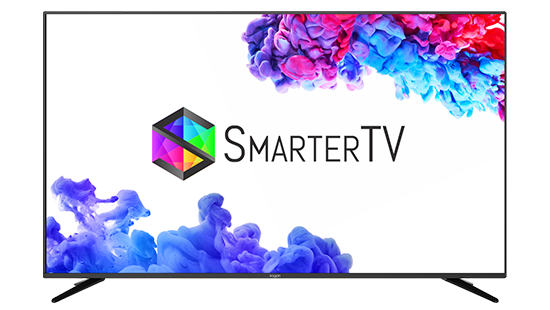 The Kogan SmarterTV™ is made for streaming. 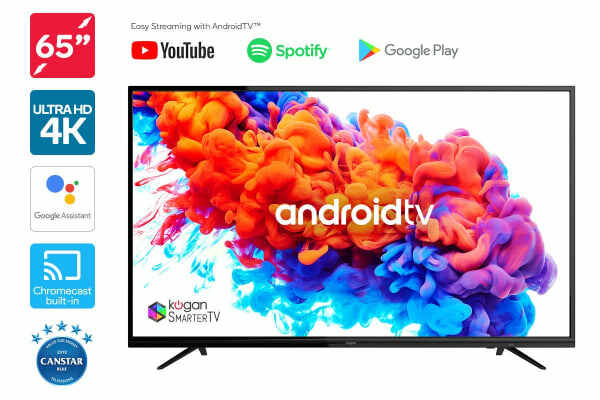 It comes with Google Chromecast built-in, which makes casting your favourite streaming services, like YouTube, Stan, Spotify and Google Play, easier and faster than ever before. 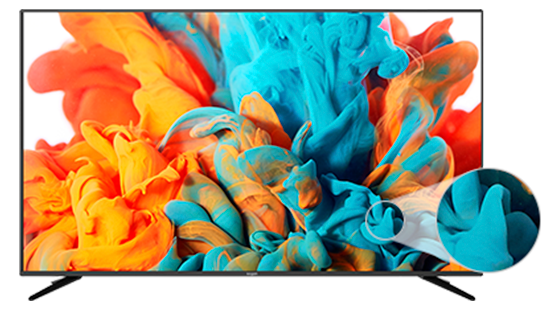 Enjoy entertainment on an extreme scale with this breathtaking 65” TV that delivers a four times greater resolution than Full HD for a truly cinematic experience, with an enhanced level of immersion thanks to the HDR support. HDR significantly expands the range of contrast and colour to show bright blues, greens, and reds to help you see through the director’s eyes and discover details you may not have noticed before. Find your entertainment the fast, easy and smarter way. Control your Google Assistant compatible devices almost instantly, just by using your voice. Simply speak into the remote to pause, play and launch Stan, fire up Spotify or dim your smart lights. Android TV™ also comes with access to the Google Play Store and an almost endless collection of games, music, movies and apps. 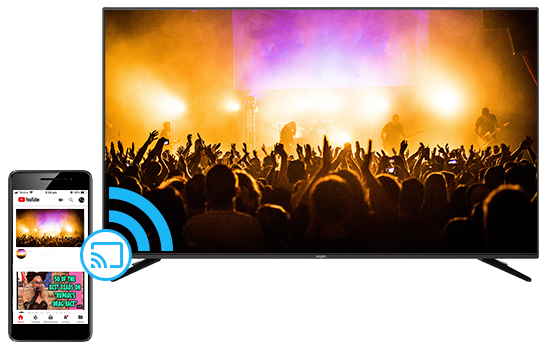 The Kogan SmarterTV™ easily connects to the internet via Wi-Fi or Ethernet. It also features multiple HDMI ports which allows you to seamlessly hook up set top boxes, media players and video game consoles. We are unable to accept this product for return under the terms of our Returns Policy for ‘change of mind’ purposes. Make using your favourite streaming services easier and faster with a built in Chromecast. Enjoy the convenience brought by the built in Google Assistant, which lets you command your television with just your voice! Four times the resolution of Full HD. See movies and TV in greater detail than ever before. Treat yourself to an exceptional visual experience with HDR support, which makes for richer and more vibrant viewing. Please note, HDR support is currently not available for gaming.